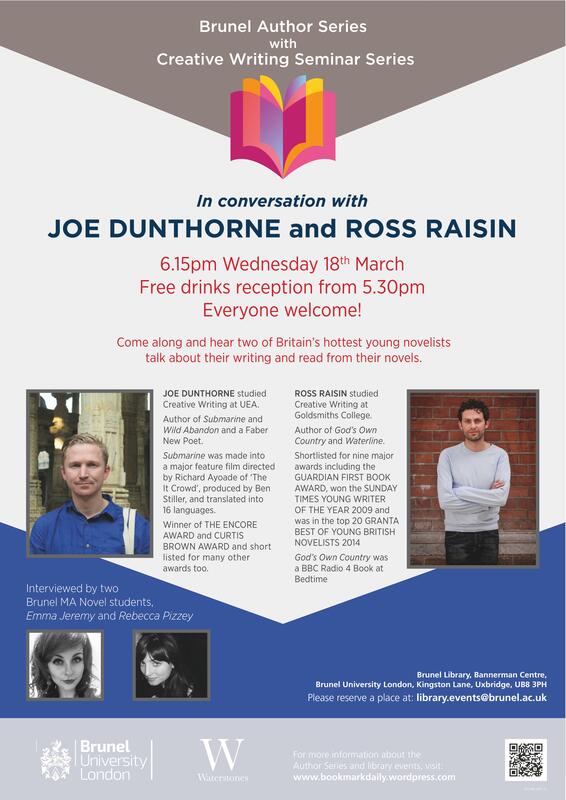 Come along and hear Joe Dunthorne and Ross Raisin talk about their writing and read from their novels on March the 18th at 6.15pm. Booking is essential. Everyone welcome!